The Make-A-Wish Southern Florida Youth Leadership Committee wants to tempt you with a Mac n’ Cheese Challenge. 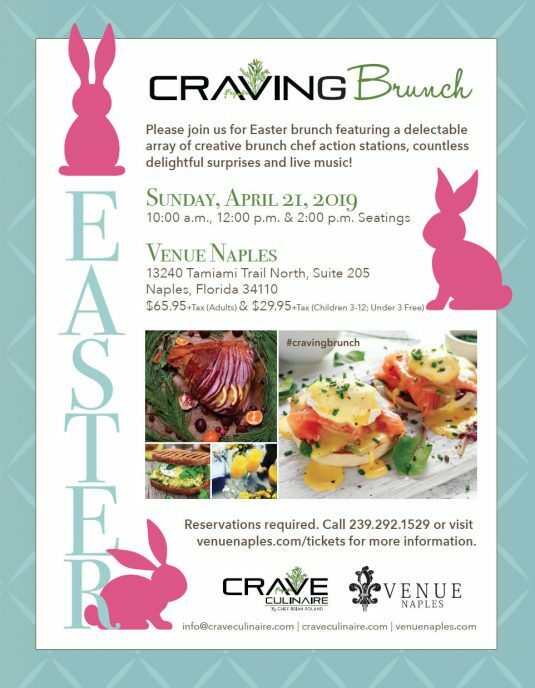 Come enjoy a yummy time on Sunday, March 31, 2019 from 11:00 a.m. – 2:00 p.m. at Venue Naples. Guests will receive samples of macaroni and cheese from several restaurants and catering companies. Then they can vote for their favorite take on this classic comfort food. There will be music and outside activities also. $20 per adult, $15 for students and $10 for children 12 and under. 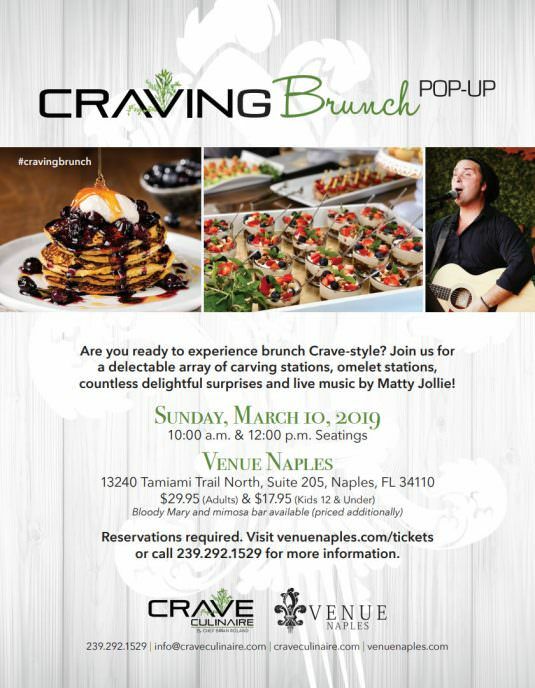 100% of the proceeds benefit Make-A-Wish Southern Florida. 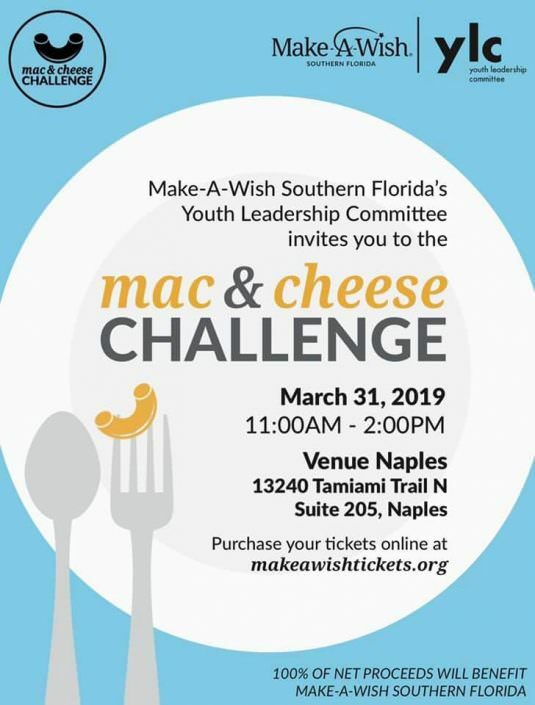 You must purchase tickets online in advance at www.makeawishtickets.org. For questions, contact Emily at (239) 992-9474 ext. 24 or esumpmann@sfla.wish.org.